The Bull Products free of charge storage system is widely used by many contractors across the UK. This is an asset management system which is designed to take away inconvenience for our customers at the end of a construction project. The collection service is limited to fire equipment only. Customers can organise a Bull Products collection anywhere in the UK. This service is backed by a 72-hour collection service from site and stored at the Bull Products warehousing facility. All equipment received within our warehouse, is inspected. Items deemed faulty or damaged are environmentally disposed of. Equipment that has passed inspection is booked into the stock system and stored safely in dedicated customer racking. Customer equipment held in stock is fully serviced and certificated before being despatched on a next day delivery to site when required by the customer. These terms and conditions are for the customer own stock control logistics from Bull Products to all customers including delivery to and from site and storage. Written confirmation is required for Bull products to collect customer own stock from site. Including an accurate list of quantities of appliances for collection. Equipment will be collected within 5 working days from written confirmation. Bull products accept no responsibility for customer own stock damaged in transit. Bull products will charge for all deliveries of customer own equipment to and from site including any abortive visits at the agreed rates as shown in annex A. Customers own equipment that is deemed unfit for service will be environmentally disposed of. Environmental charges apply for condemned equipment see annex A. All condemned equipment is recorded and photographed. Photographs are available upon request. Customer own stock collected from site will incur cleaning charges before being located into the stock control system, see rates in annex A. Customer own stock reports are available upon request, or if agreed will be automatically sent to customers on a monthly basis. 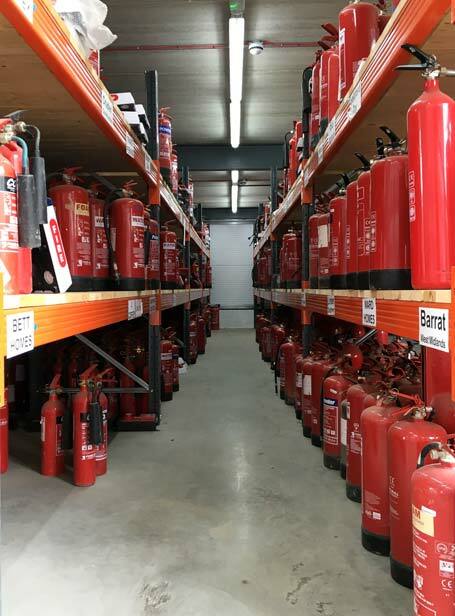 Customers own stock will be fully serviced prior to despatch back to customers site in accordance with the British Standard, full service charges apply, see annex A. Each item put into customer own stock is labelled with customer name and date of entry into the stock system. Stock is recorded in and out of storage via the Bull Products computer system. Storage of equipment is available for up to 12 months per item of equipment. After such a date, the equipment is environmentally disposed of or returned to customer.